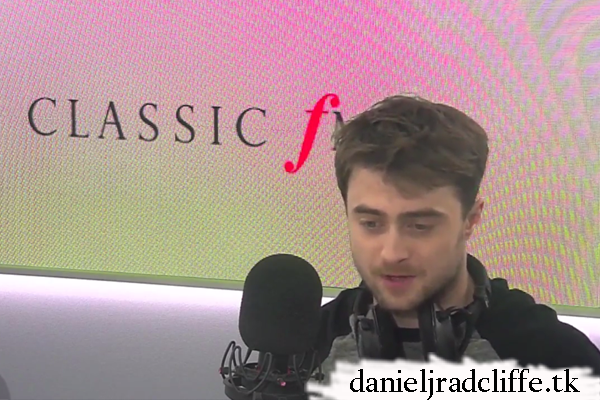 Daniel was interviewed by Classic Radio FM's Charlotte Green on Monday and the interview aired today. She asked him about his favourite classical music and ofcourse they talked about Swiss Army Man and Imperium. There is a clip below via classicfm.com. Did you happen to catch this interview? The clip doesn't include much and there doesn't appear to be a play again feature on the Classic Radio FM's site. I am really curious what his answer to "favorite classical music" was! Hi, No I couldn't listen to it when it was airing due to country restrictions. And for as far as I know you indeed can't listen to it again somewhere. The link only works for those in the UK,so not for me... but thanks for posting Steve! Steve – Thanks for posting that link. However, it appears it's no longer valid (or at least doesn't work for me). It says page not found. Did you listen to the whole interview? If so, did you happen to catch what Dan's favorite classical music is?